Dead Man Floating: World War II's Oddest Operation In April of 1943, the body of a British Royal Marine washed ashore in Spain, carrying top secret letters about Allied plans to invade Greece and Sardinia. Or so it seemed. In reality, the body was that of a homeless Welsh laborer, and the letters were fakes designed to direct German attention away from the real Allied invasion target: Sicily. 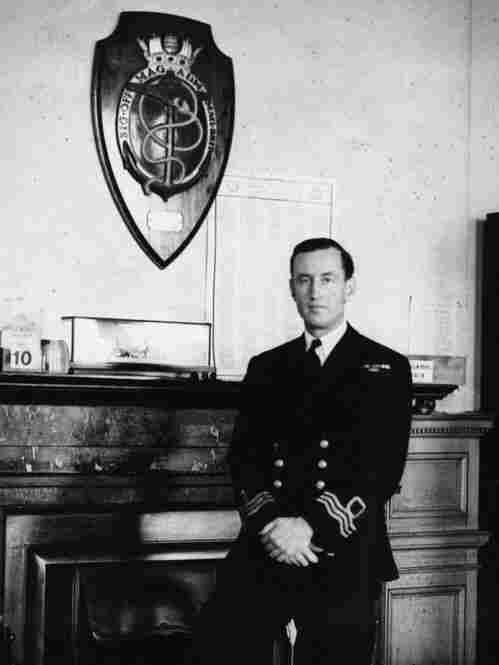 James Bond creator Ian Fleming, seen here in Room 39 of the Admiralty, the nerve center of British naval intelligence. 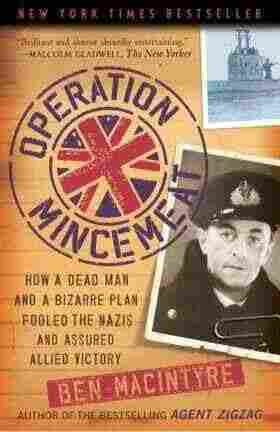 Fleming lifted the idea for what would become Operation Mincemeat from an old detective novel. 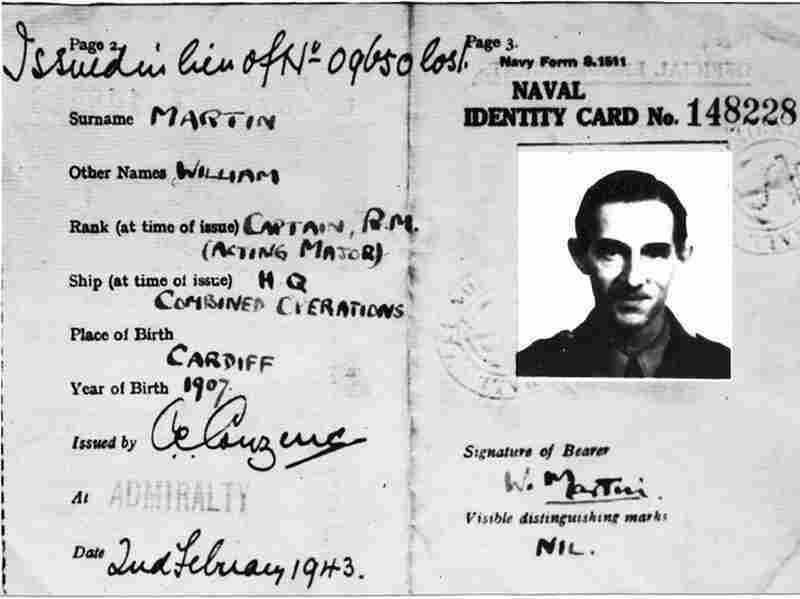 The identity card created for Major William Martin of the Royal Marines. The photo actually depicts British intelligence officer Ronnie Reed. 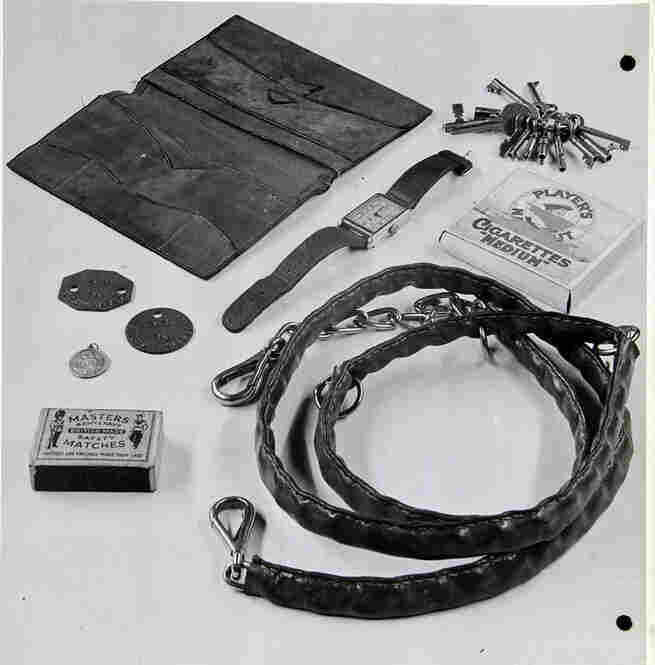 "Pocket litter" helped build a convincing personality for the fictitious Major Martin. He went into the water with keys, a matchbook, identity discs, and cigarettes along with letters from an imaginary father and fiancee, nightclub tickets, and overdraft letters from his bank. Spanish authorities buried "William Martin" where he washed up, in the town of Huelva. More than fifty years later, the British government added an inscription honoring the contribution of homeless Welsh laborer Glyndwr Michael, whose body was used for the deception. Early in 1943, Allied forces were massing along the coast of North Africa, preparing to make a push across the Mediterranean. They’d settled on strategically important Sicily as a target… but they needed to convince the Germans that they were aiming somewhere else. How did they do it? 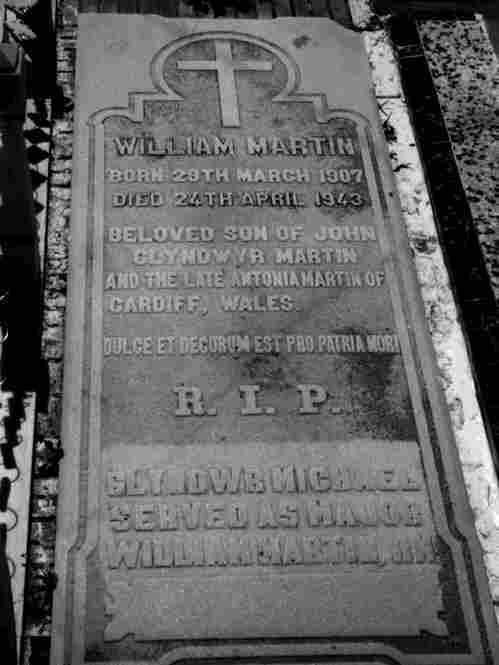 With a great deal of imagination, and the dead body of an unfortunate Welsh laborer who’d died from eating rat poison. “The idea, very simply, was to get a dead body, equip the dead body with false papers, and then drop it somewhere the Germans would find it,” historian Ben Macintyre tells NPR’s Guy Raz. Macintyre is the author of the new book, Operation Mincemeat: How a Dead Man and a Bizarre Plan Fooled the Nazis and Assured an Allied Victory. “It was probably the most elaborate, certainly one of the oddest, and certainly one of the most successful deception operations ever undertaken,” Macintyre says. And if it sounds more than a little bit like something out of a spy thriller, well, that’s because it was. The idea for Operation Mincemeat came originally from Ian Fleming, the creator of James Bond. Before he devoted his life to Agent 007, Fleming worked as an assistant to the head of British Naval Intelligence. And Fleming admitted freely that he’d lifted the idea of a dead body carrying false papers from a detective novel he’d once read. “That’s why I love this story," Macintyre says. "It starts in fiction, and in a way it really is a case of somebody just imagining their way into reality." Fleming’s idea was part of a larger list he’d helped write of methods for confusing an enemy at sea. And with the Allied invasion of Sicily looming, British intelligence officers seized on it as the best way of persuading the Germans to look elsewhere. But in order for the deception to work, they needed a dead body. And it was an elaborate creation: the fictitious Major Martin was equipped with ticket stubs, keys, a religious medal, letters from an imaginary father and fiancee, and unpaid bills. Cholmondeley and Montagu thought that the more convincing his personal story was, the more likely the Germans would be to believe the ruse. And along with the personal items, he carried carefully faked letters hinting that the Allies were planning to invade Greece and Sardinia, not Sicily. The Germans fell for it. “Major Martin” was picked up by a fisherman on April 30th, 1943, off the coast of Huelva, Spain. British intelligence knew that Spain, while neutral, had Axis sympathies. They hoped that Martin and his faked documents would eventually fall into German hands, which is exactly what happened. In the end, Hitler moved entire divisions away from Sicily to guard against attacks on Greece and Sardinia -- attacks that never came. Instead, the Allies stormed through Sicily, meeting only minimal resistance, and Hitler was forced to call off assaults on the Eastern Front in order to reinforce Italy.